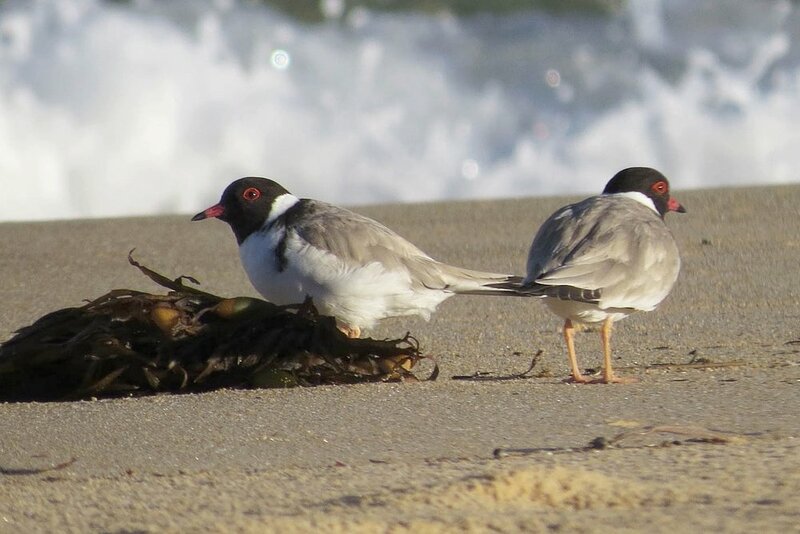 This month we ask you to report sightings of Pied Oystercatchers and other shorebirds on our local beaches and estuaries. Pied Oystercatchers (Haematopus longirostris) are perhaps one of the more familiar birds on our beaches and estuaries. They are here year round, yet they are endangered in NSW. They struggle due to loss of habitat and disturbance of their nesting sites by beach users and dogs. Watch out for them on beaches, estuaries, inlets and lake shores. "sometimes you have to put your head under!" We have two Oystercatcher species in our region: the Pied (Haematopus longirostris) and the Sooty (Haematopus fuliginosus). There are about twelve Oystercatcher species worldwide but we only have two in Australia, plus one vagrant from the South Island of New Zealand. The New Zealand species visits occasionally, but usually to the north of our Atlas region. However, it is possible that you will see one - so record your sightings on NatureMapr during the month of October (and beyond, of course!). Other species you may see in the same location as the Pied Oystercatcher include: Red-capped Plover, Hooded Plover [if you are lucky], Little and Fairy Terns [end of October], Royal Spoonbill, Australian Ibis, Bar-tailed Godwit, White-faced Heron, various Egrets … and the Beach Stone Curlew [if you are very lucky!]. 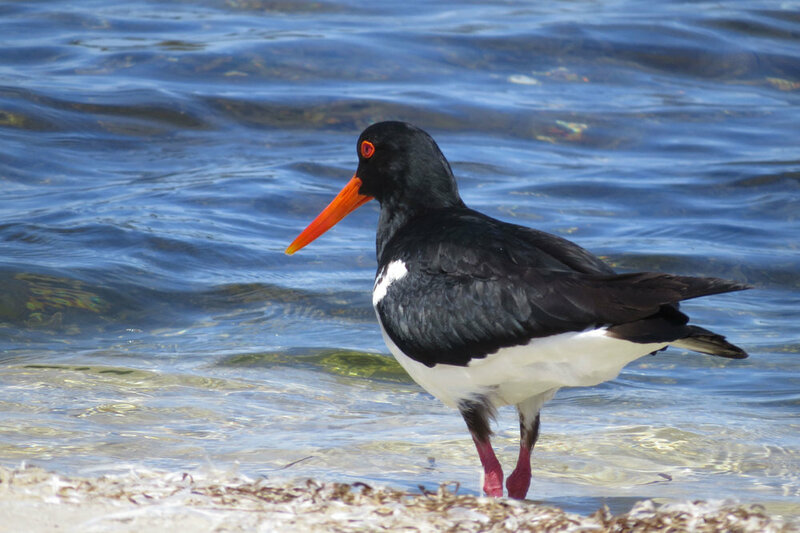 PIED OYSTERCATCHER: Handsome, sturdy, black and white bird with red bill, pink-red legs, a little larger than a magpie. OTHER SHOREBIRDS: as per the images above. Note that some of these birds are very small, and surprisingly cryptic. Please take care when searching the beaches. 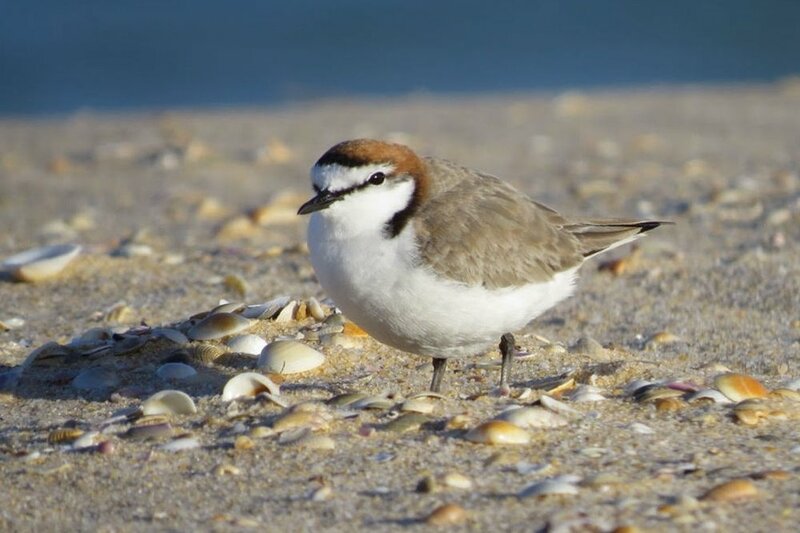 Many shorebirds, including threatened species such as the Hooded Plover, nest during Spring and Summer … and their nests are little more than a scrape in the sand, often on the open beach! Be very careful where you step. And if a bird is ‘performing’ as you approach - calling, bobbing its head, or flapping its wings, you are too close to the nest. Move away carefully, and observe only from a distance that doesn’t cause the birds distress. Even a short period of time away from the nest can be enough for them to lose their eggs or chicks. They may feed and rest on beaches, estuaries, lake shores, oyster leases, and tidal mudflats. 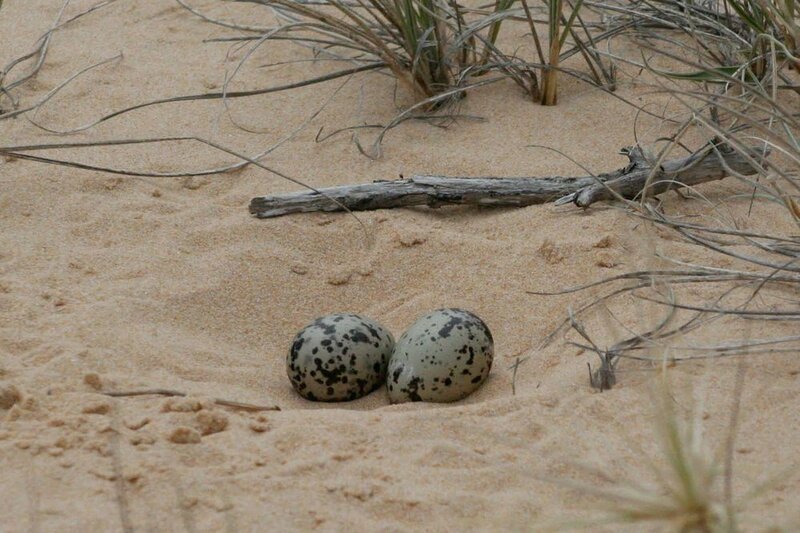 They typically nest in beach dunes. This is in contrast with the Sooty Oystercatcher, which nests on rocky platforms and offshore islands, and also tends to feed on the rocks rather than on the beach sand. Location, number of birds, behaviour, other shorebirds nearby, any coloured flags or bands on the legs. If you spot one with bands or a coloured flag you can find out more by notifying ABBBS (Aust.Bird & Bat Banding Scheme). 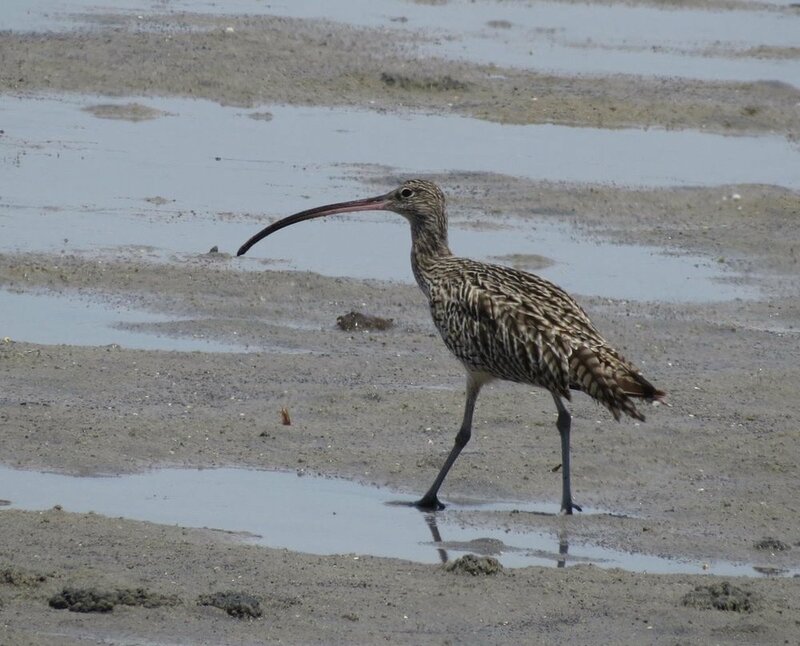 They are keen to record the movements of banded birds, and you will receive an email with further information about where the bird was flagged, its age, and other locations where it has been reported. The above information, including all the images, was provided by Liz Allen. All Liz’s photos were taken on beaches in the Atlas of Life region.